We’re all on deadly ground now. This virus doesn’t have rules. We don’t know what the next moments will bring. For whatever reason, God saw fit to give me the responsibility of being the second Adam, and to restart the human race. Thomas W. Starbuck, an eternal optimist, finds joy in everything around him – from quality time with his active family to quiet meditation and contemplation about the world around him. Never living life in the status quo, Tom had an idea for a story. 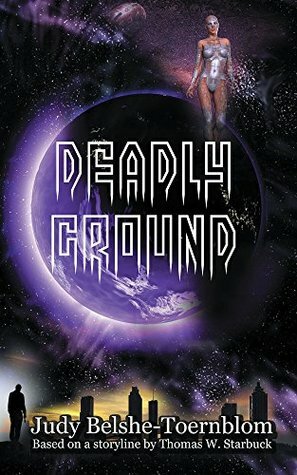 This spark of an idea for a screenplay turned into Tom’s first novel, ‘Deadly Ground’, published in April 2018. To give Deadly Ground the soul it needed, Tom worked with gifted writer, Judy Belshe-Toernblom, on both the screenplay and novel, and they were recognized by the 2018 Capital Fund Screenplay Competition Top 100. Tom is the father of two daughters and a beloved granddaughter, who one of the Deadly Ground characters was named after. He lives with his wife of 45 years in Des Moines, Iowa, where he graduated from Drake University and worked in financial services for 32 years prior to retirement in 2009. Multi-talented Judy Belshe-Toernblom has spent her career as an award-winning writer/producer/casting director in Hollywood. Having published 5 books, Judy received the Dove Foundation Award for her book, Boonville Redemption: The End of the Beginning, as well as its film, Boonville Redemption, starring Pat Boone, Edward Asner and Diane Ladd. Working with Thomas W. Starbuck on both the screenplay and published novel, Deadly Ground, they were recognized by the 2018 Capital Fund Screenplay Competition Top 100. She also received the Irwin Award for her book, It’s A Freeway Out There! Everyone’s Guide to the Film and Commercial Industry. She’s had the privilege of working with award-winning directors over the years, casting for movies, educational films, industrials and infomercials, such as: McGruff the Crime Dog series, How the West Was Lost (Cable Ace Award), Knotts Berry Farm, Oroweat, Disney educational projects, Boys and Girls Town PSAs, Will Rogers Institute PSAs, and 100s more. AB is a genetic scientist that is on vacation when a strange virus starts in Africa and quickly spreads throughout the world. The virus quickly kills people then turns them into dust. He rushes to the CDC to try and create a vaccine but things go wrong and don’t seal themselves fast enough against the airborne disease. Strangely, AB has some genetic codes that keep him alive when everyone else dies. He decides to try and find survivors but learns that he is probably the last person in the world. This was a short yet interesting read. It really makes you think about what you would do in his position as being the last person alive. What about when he loses his only companion? What about surviving in this new world? I loved this story and couldn’t get enough. I was sad to see that it ended so suddenly but I have seen that there will be a sequel. I can’t wait to get my hands on that. 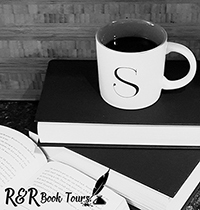 I would like to thank Virtual Author Book Tours for the opportunity to share this book. Hi, I just read your review and it covered everything. I have my first book out on Amazon for free promotion on 14th December, and would love if you could grab a copy. Your reviews are great, keep up the good work fellow blogger! I’m so glad you enjoyed ‘Deadly Ground’! Thanks for taking part in the tour! You are very welcome. This was a great book definitely a must add to the shelves.